Baco Enterprise Inc, is a four Company in One, who distributes fastener, thread rod and anchor bolt manufacturer, a steel service center. Construction a building, bridge, house, hospitals, church etc. needed a good quality of construction materials. Construction Bolt is a type of metal that has a head at one end, a chamfer at the other, and a shaft characterized by an external helical ridge known as a ‘thread. Bolts are usually used for holding materials or object. This typically requires nuts. Anchor Bolt, this type of construction bolt, are usually used for concrete and masonry for structural applications. Carriage Bolt, this type of construction bolt is usually used in metal, as it gives enough force to hold up when tightened. Elevator bolt, use for the conveyor system, as it has a flat and plain head needed for the system to tighten. Hanger Bolt, This type of bolt comprises two threaded ends instead of having a head. Hexagon Bolt comprises a head six sides. 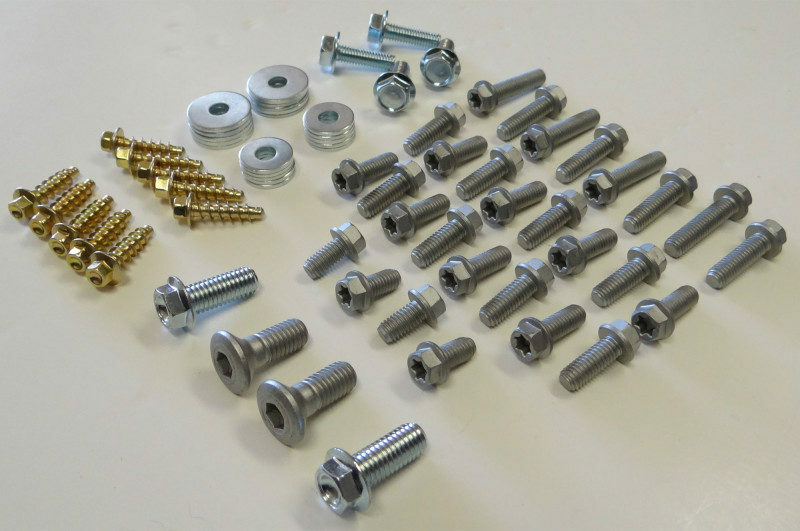 Lag bolt, also known as a lag screw, this is a heavy-duty fastener that creates its own mating thread in timber and other soft materials when tightened. Square head bolt, this is similar to a machine bolt in that it has a short shank, in addition to a four-sided bolt head. Stud bolt, this type of bolt has hexagon nuts on both ends. Components are fastened between the two bolts. Timber bolt, bolts that are meant for use with large timber components. T-head bolt, has a T-shaped head which can be gripped by a wench and can fit into a slot with ease. Toggle bolt, this type of bolt has an expanding wing-like nut which helps it to mount objects to walls. U-bolt, similar to staples, U-bolts are bent in the shape of a ‘U’ and are partially threaded on both ends. Washer, a small flat ring made of metal, rubber, or plastic fixed under a nut or the head of a bolt to spread the pressure when tightened or between two joining surfaces as a spacer or seal. Plain washers, A flat annular or ring, often of metal, used to spread the load of a screwed fastening. Additionally, a plain washer may be used when the hole is a larger diameter than the fixing nut. Spring and locker washers, which have axial flexibility and are used to prevent fastening or loosening due to vibrations. The gasket is primarily used to seal two mating surfaces. It prevents leakage of fluids. Washers, on the other hand, are used primarily to spread pressure evenly and are used in places of high vibration. Plain Carbon Steel or Mild Steel, this type of structural steel is usually used in building, the durability and inculcate strong reflects the tough building. Ensures a sturdy built, may help the contractor to make things easy and fast while saving a money, as it cannot get easily break, buildings made from this usually stands in any calamity. Rebar steel, this type of steel is used for masonry structure, used as a tension reinforced. Structural steel, shapes are made out of this kind of steel, which is formed out of a precise cross-section, at the same time it follows definite standards for mechanical properties and chemical composition.